Swissport International AG’s acquisition of cargo handler Apron GmbH makes Stuttgart its second largest cargo hub in Germany, only topped by the Swiss company’s Frankfurt facility. This purchase provides Swissport with a large-scale cargo warehouse, adding to its global network of 133 such facilities. Swissport explains it will now be handling most of the air cargo tonnage at the main airport in Stuttgart, capital of the country’s southwestern Swabian region, mainly for globally operating airline clients. The acquisition, according to Swissport, allows it to increase cargo revenues in Germany by nearly 20 per cent. Beyond cargo handling, Swissport plans to extend its product portfolio at Stuttgart airport to cargo and mail transport, security services and training. With 11 million passengers, Stuttgart is the eighth largest airport in Germany. More than 27,000 tons of air freight in 2017, including specialized car cargo shipments by the local car manufacturing industry, were handled in Stuttgart in 2017. In April 2018, Swissport announced a large-scale expansion of its cargo infrastructure at Frankfurt airport. 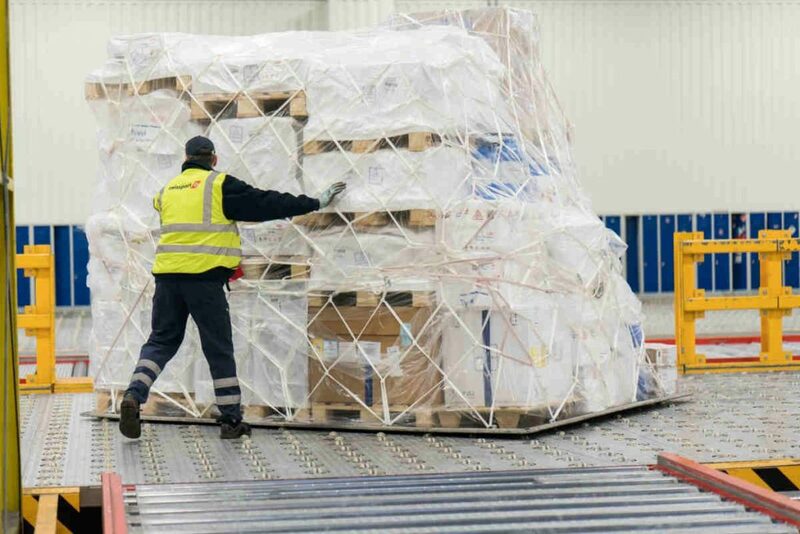 The new custom-built air cargo warehouse there will have a surface of around 16,000 square metres, making it the third largest in Swissport`s global cargo network.